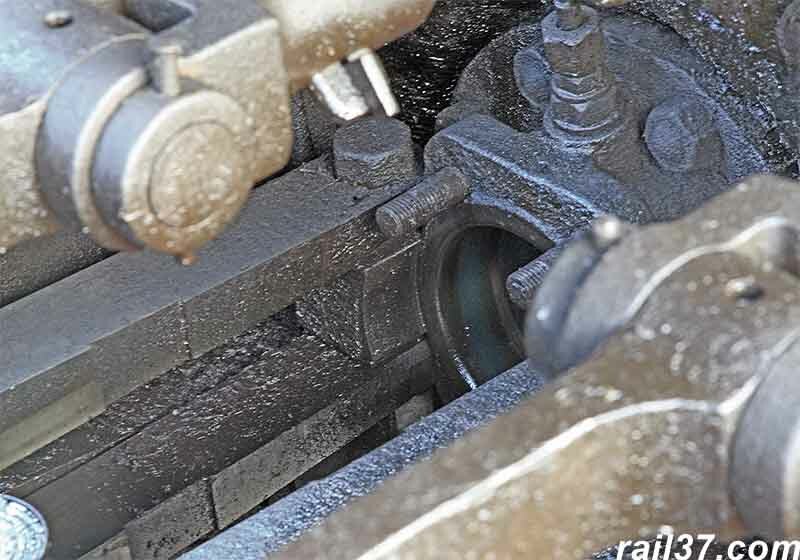 44422 was returned to Crewe for repairs after water in the cylinder caused damage to the left hand piston assembly. 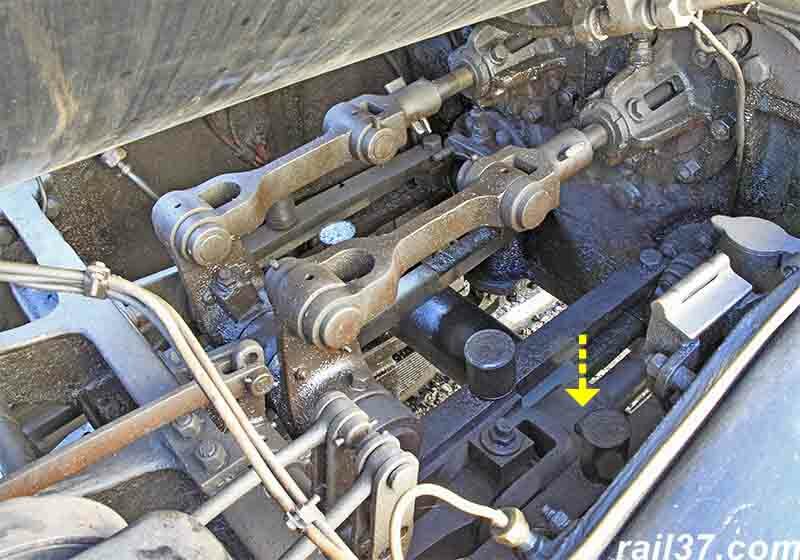 The pictures below show the relevant engine assembly and some of the damaged component parts. General view between the frames showing the two valve linkages (top) and the right hand piston rod assembly (arrowed). 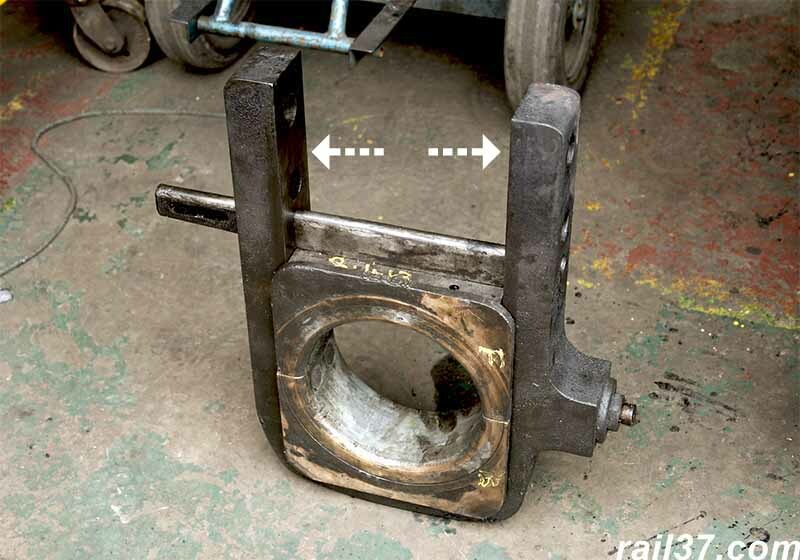 The left hand piston rod assembly had been removed for repairs. 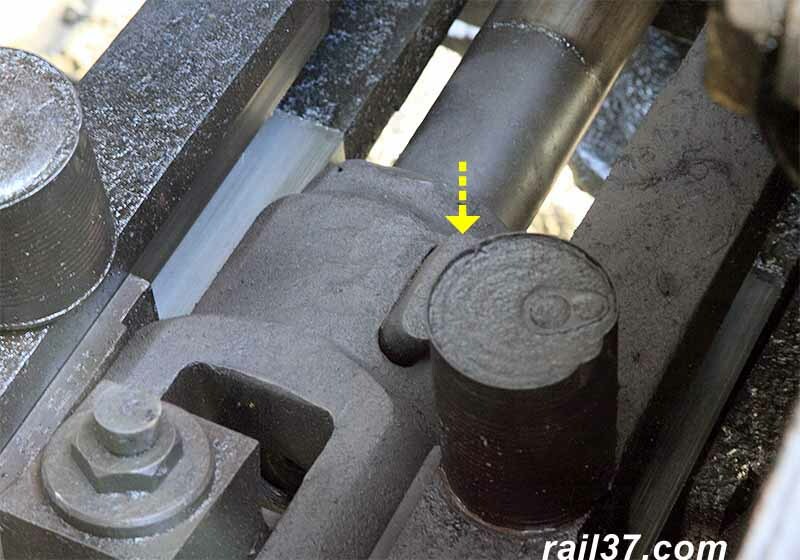 The cotter pin on the right hand piston rod assembly - see below for damage to the corresponding left hand pin. 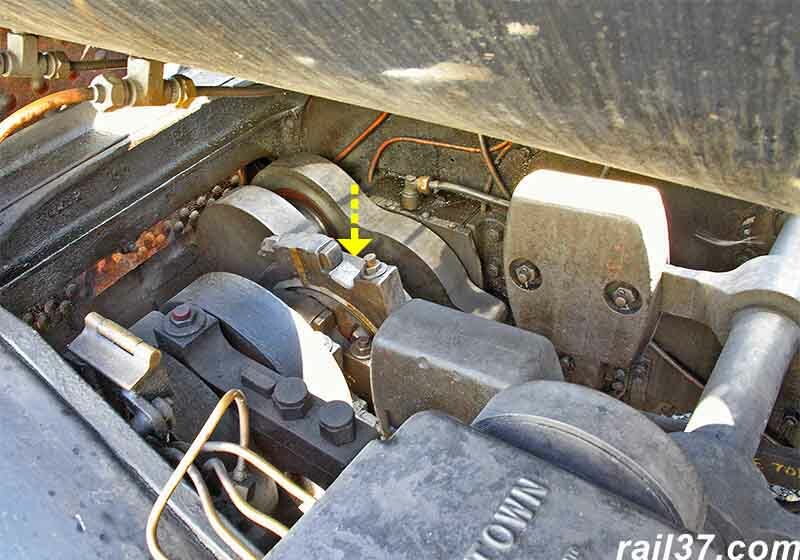 The left hand cotter pin that was bent when the damage occurred. 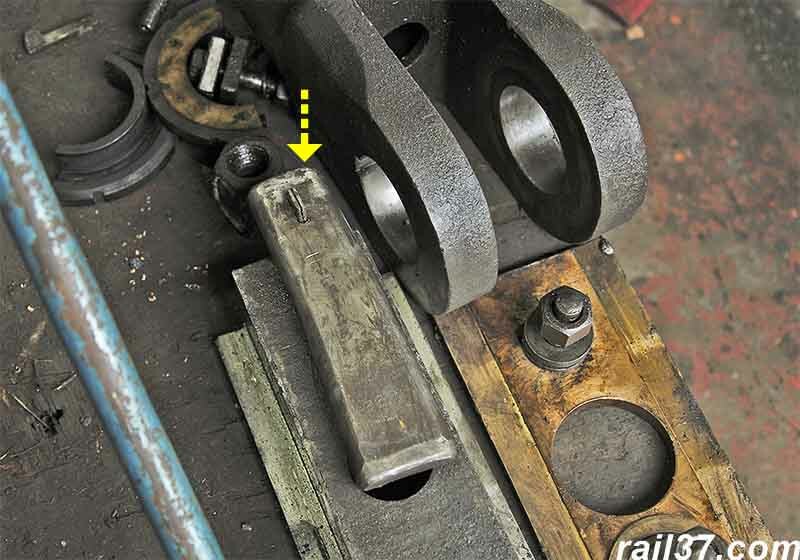 Where the left hand piston rod (removed) would enter the cylinder. 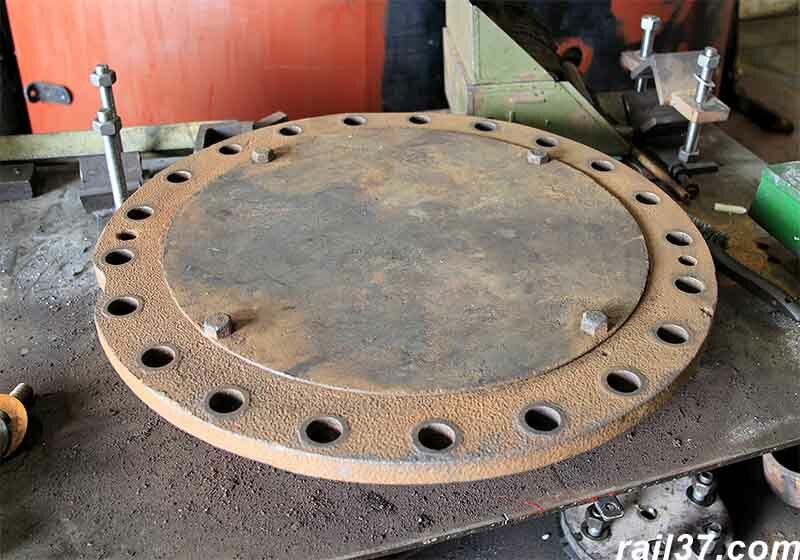 The big end strap was forced apart leaving the bearing a loose sliding fit when it should be secure. 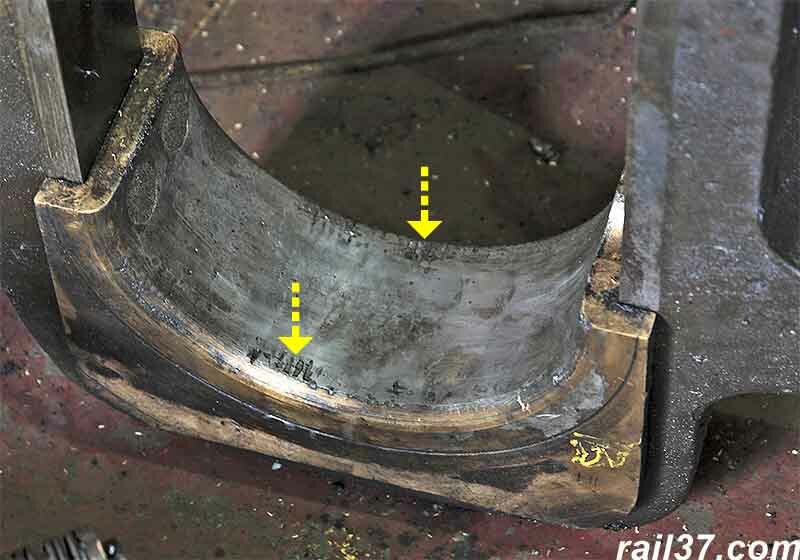 Big end bearing showing the damage to the white metal when the crank journal "hit" the hydraulically locked piston and connecting rod assembly. 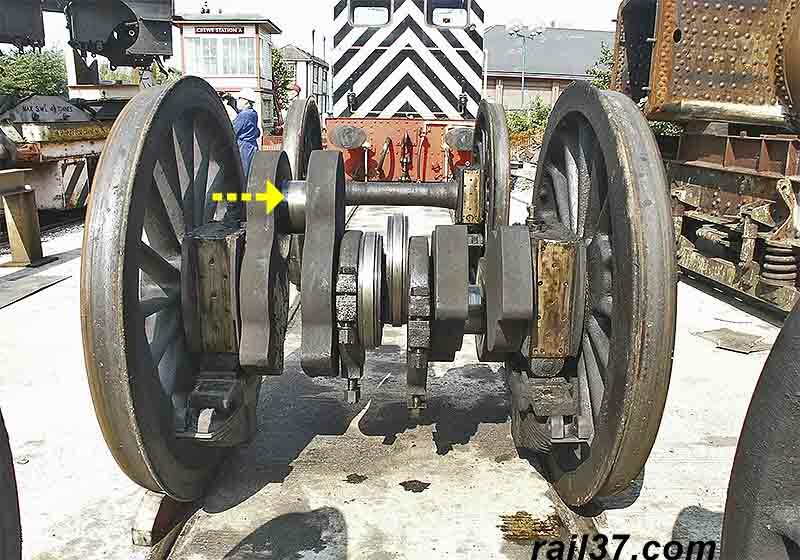 A shot taken when the engine was stripped down at Crewe, the arrow shows where the big end bearing runs on the crank journal. 16/08/03.